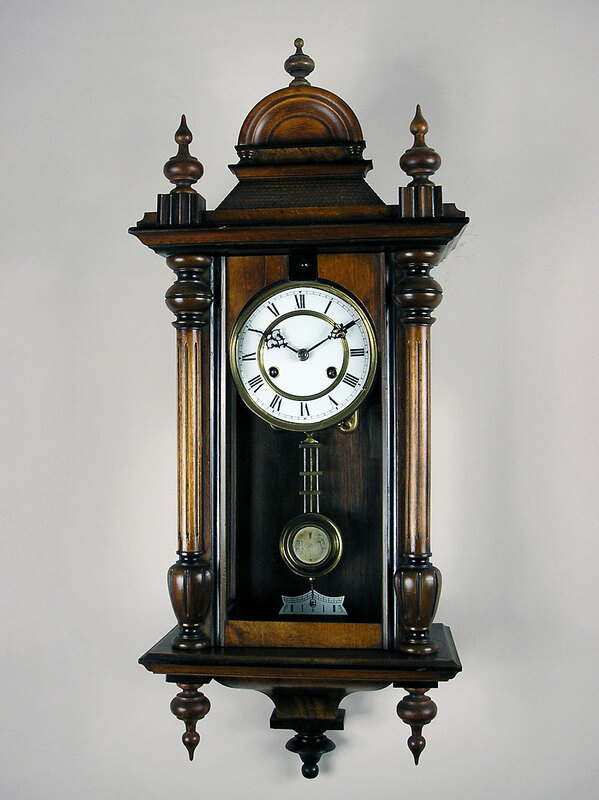 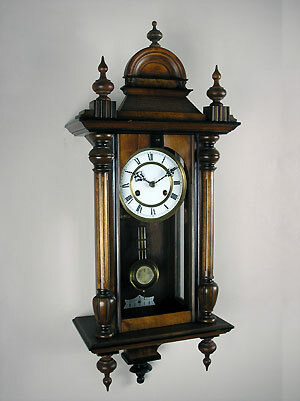 This is a half length German Vienna style wall clock by Erhardt Junghans. The clock has an eight-day gong striking movement. 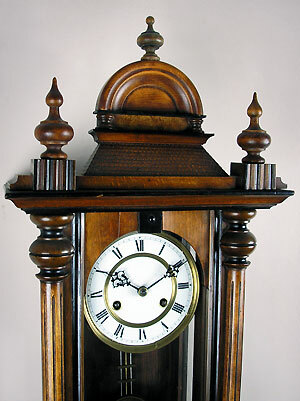 The walnut case has reeded columns and few carvings. 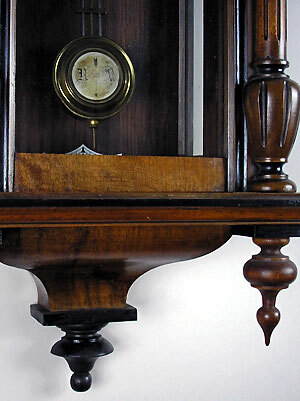 The crown and base have turned finials and the enamel dial has Roman numerals, pierced hands and a gridiron pendulum below.